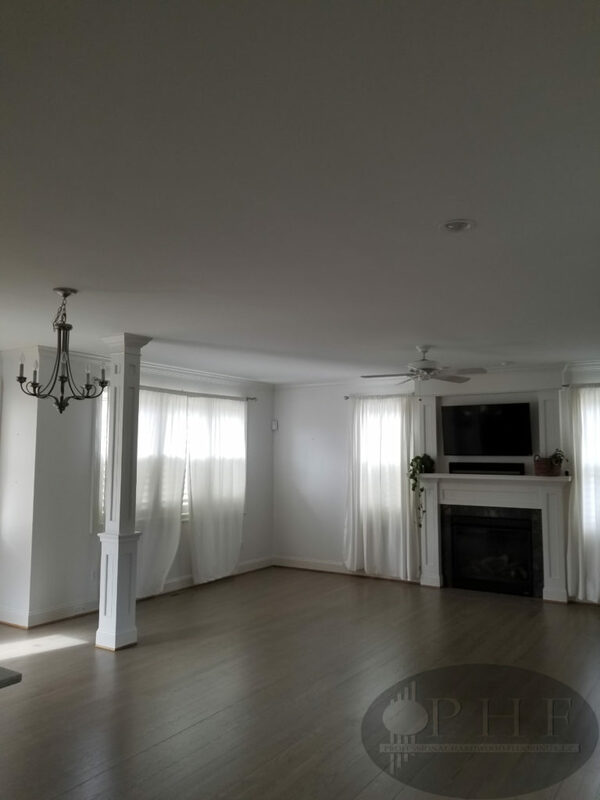 It can be difficult to visualize exactly how you want to change your rooms. 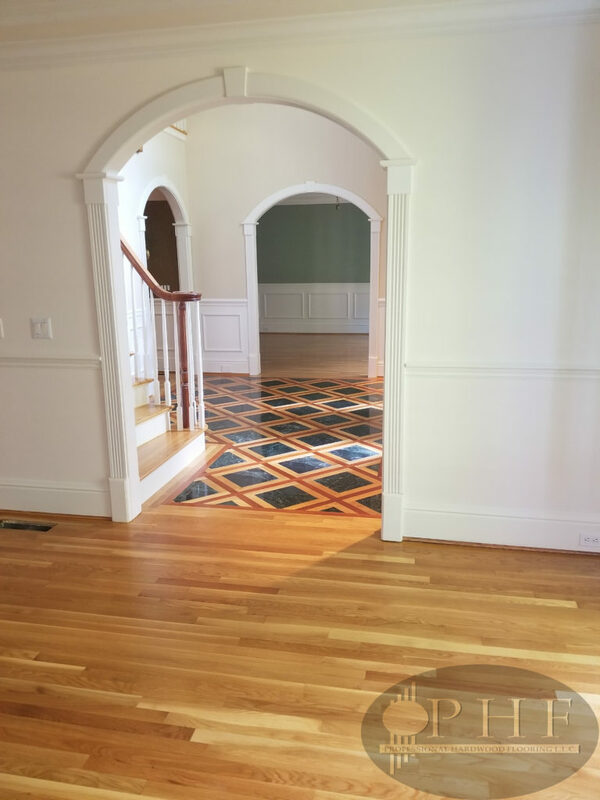 We invite you to look through our gallery of rooms to find your inspiration. 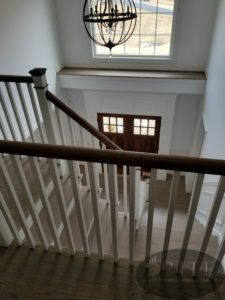 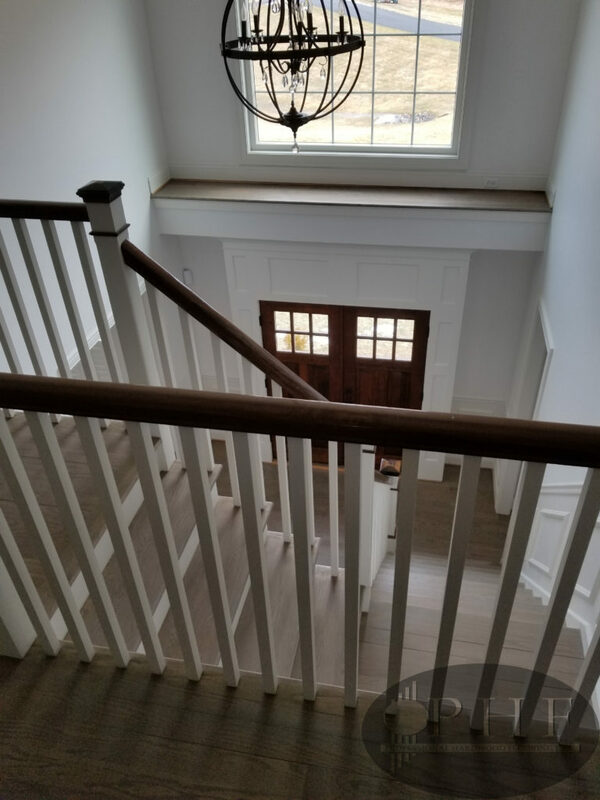 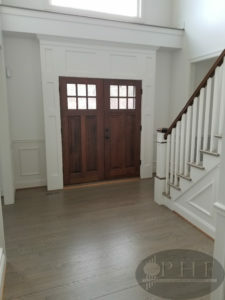 Custom made stain using a mix of country white and ebony stain and four coats water base satin. 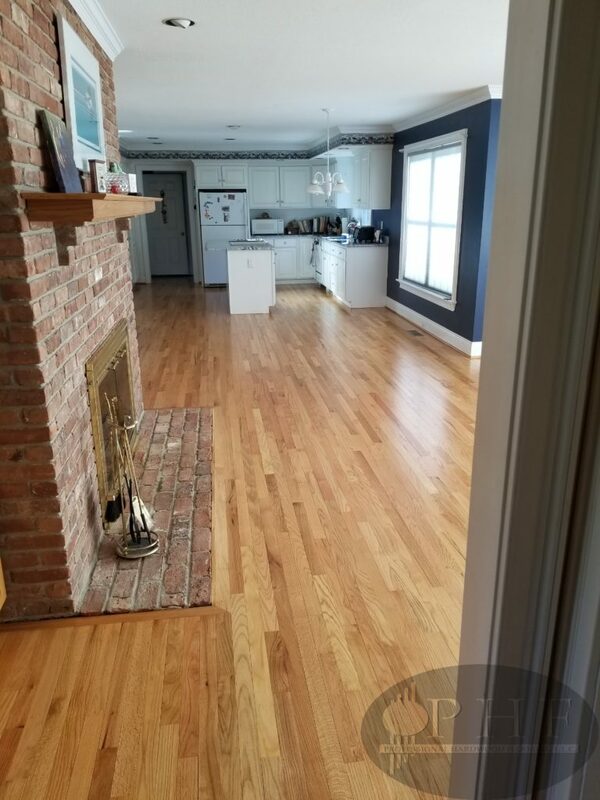 New oak floors in kitchen, older floors on rest of the house. 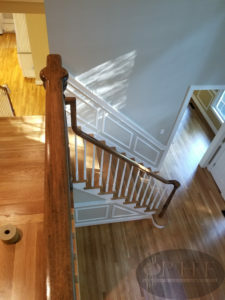 One coat of antique brown stain and three coats oil base satin. 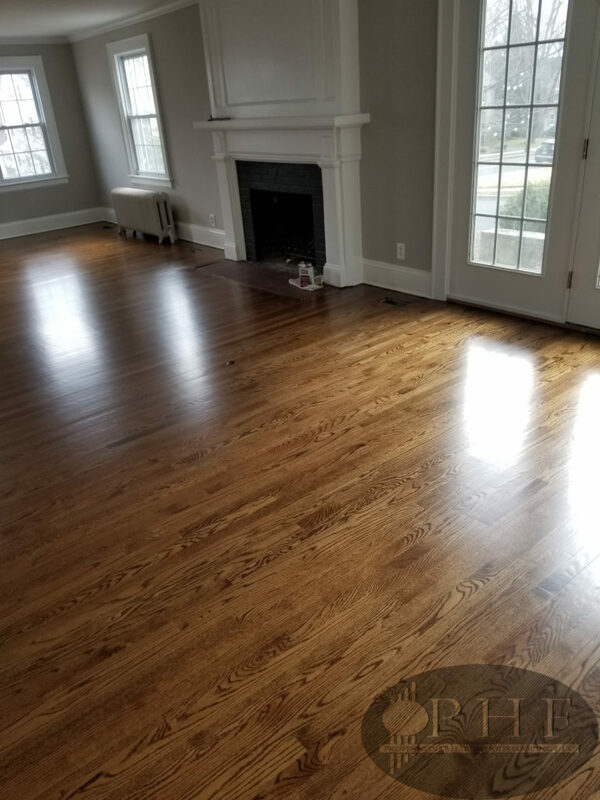 Old red oak refinished with one coat cherry stain and three coats oil based finish satin. 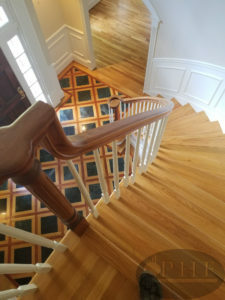 Dustless refinishing with three coats oil base satin. 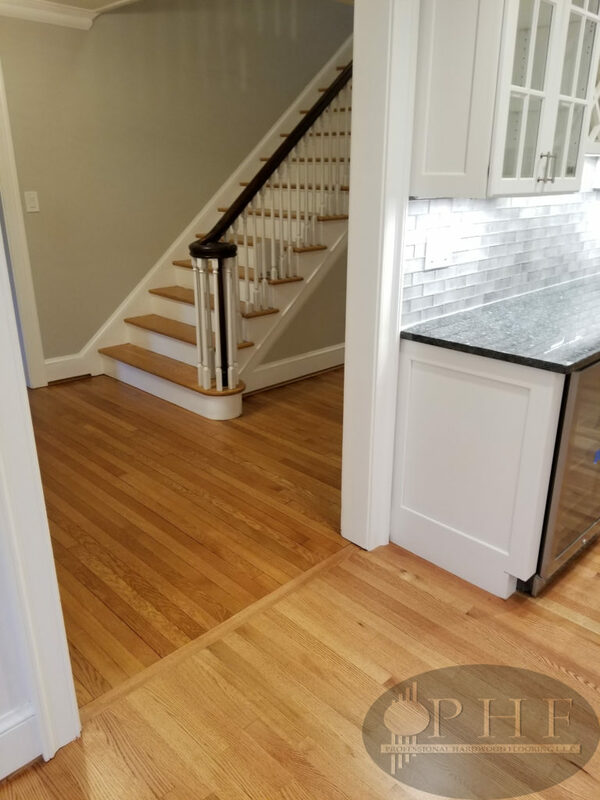 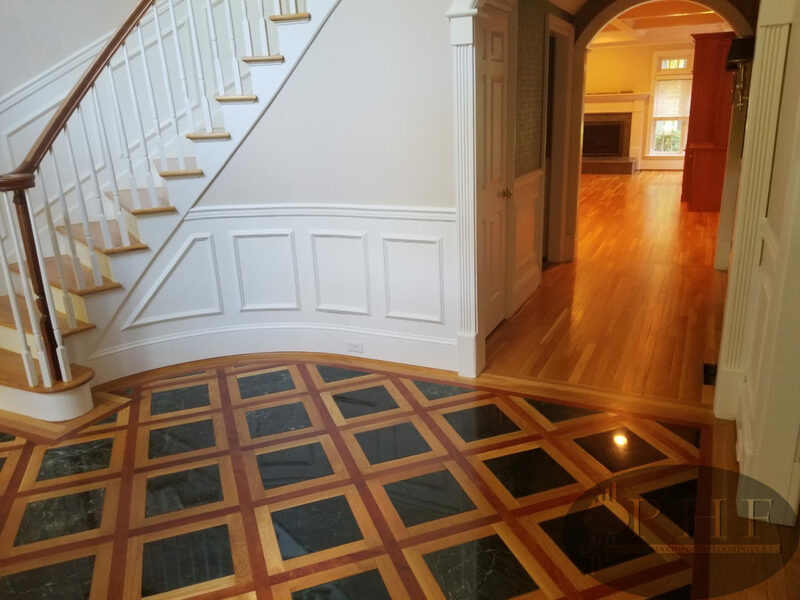 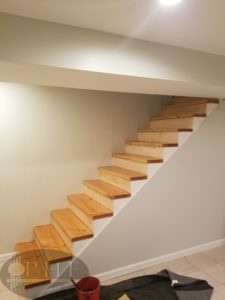 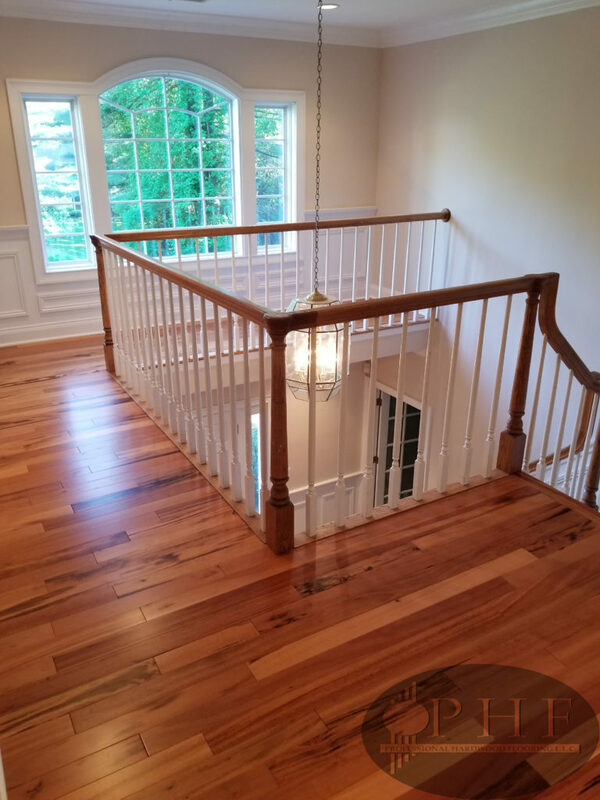 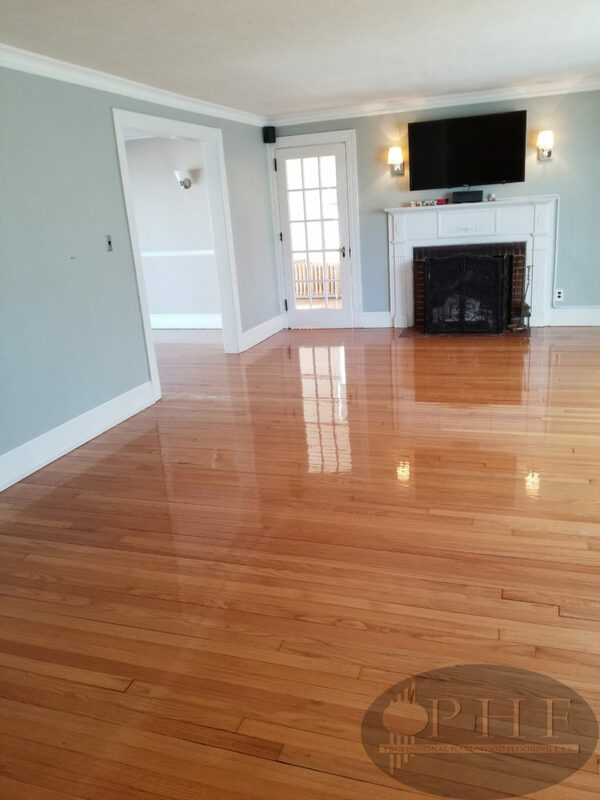 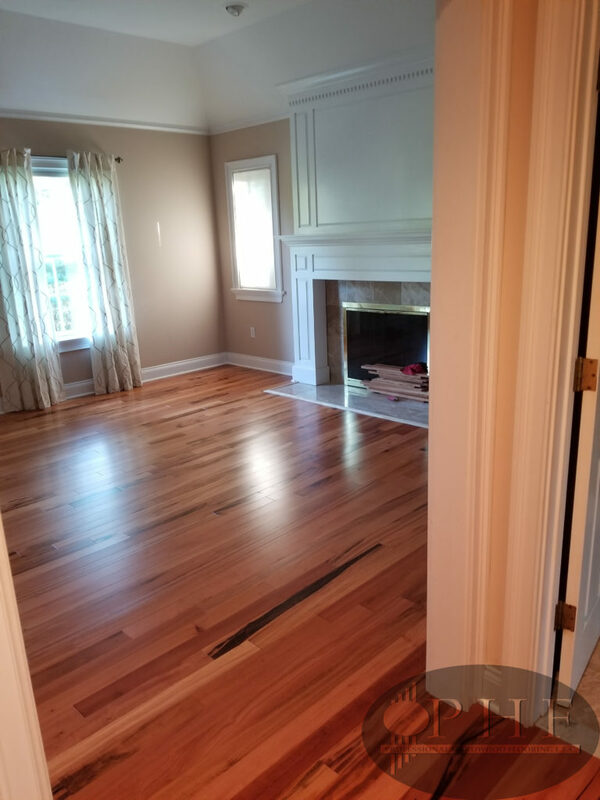 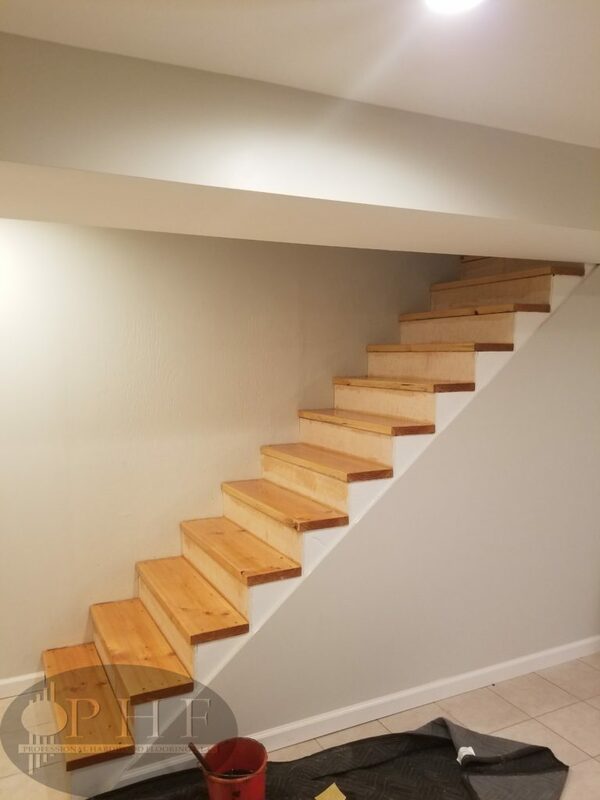 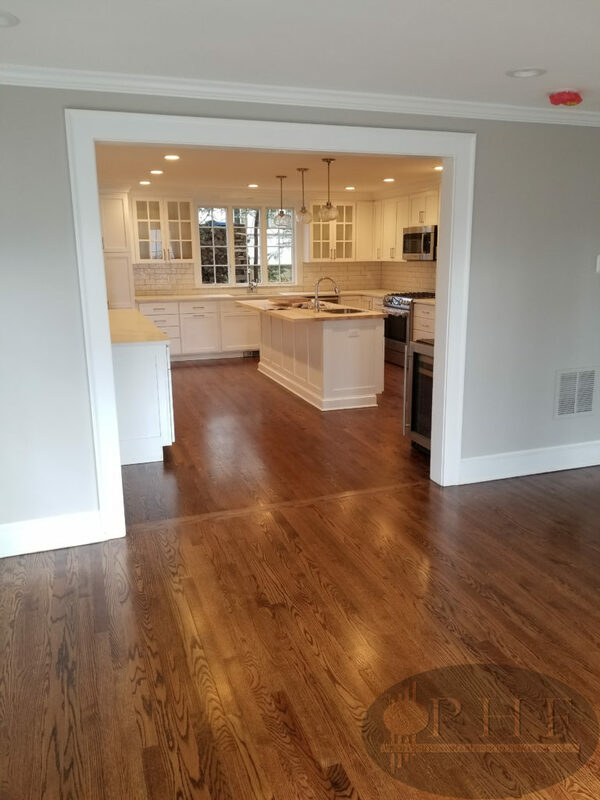 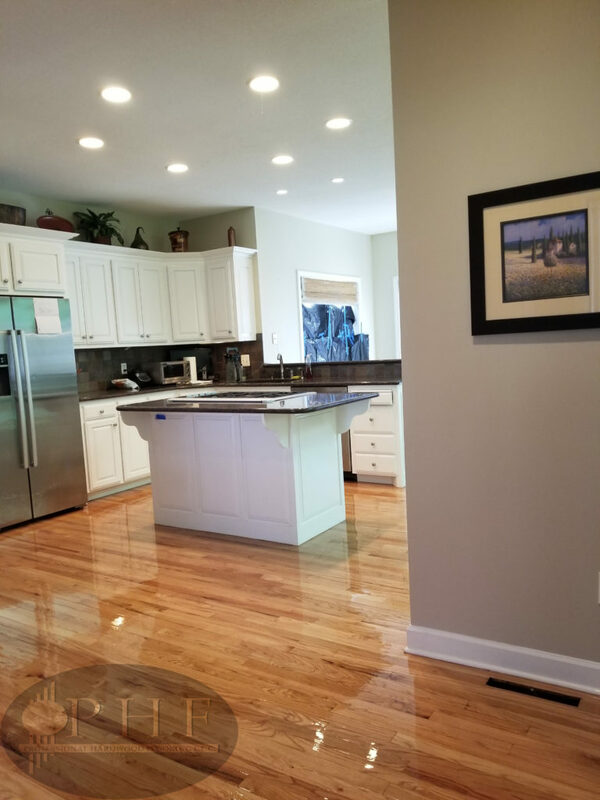 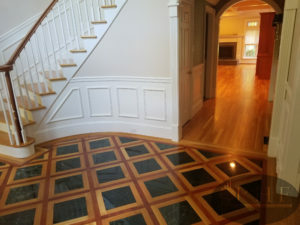 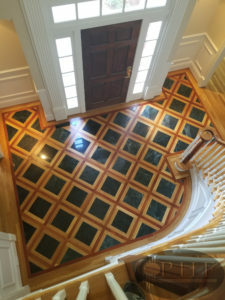 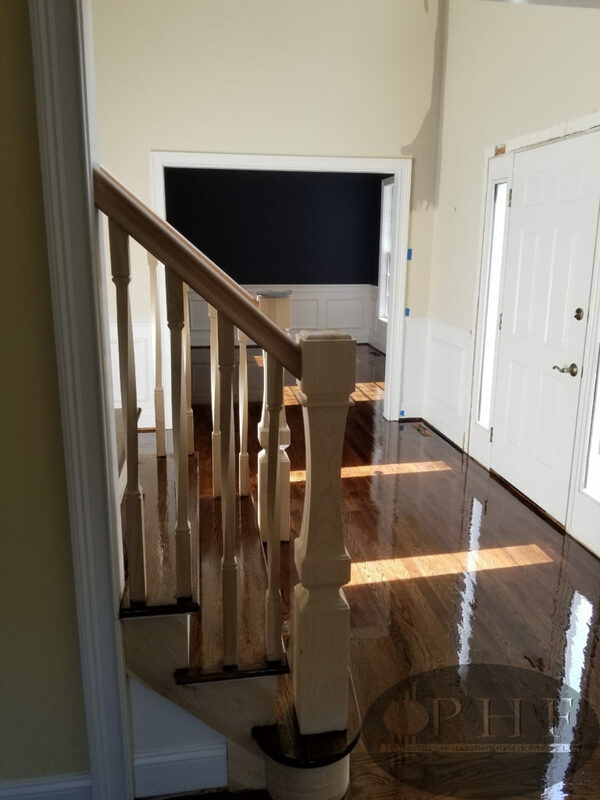 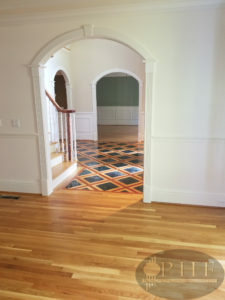 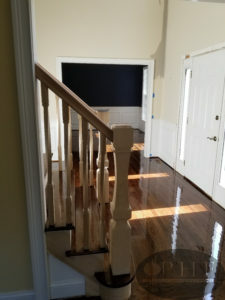 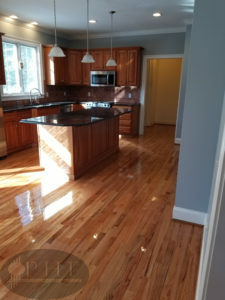 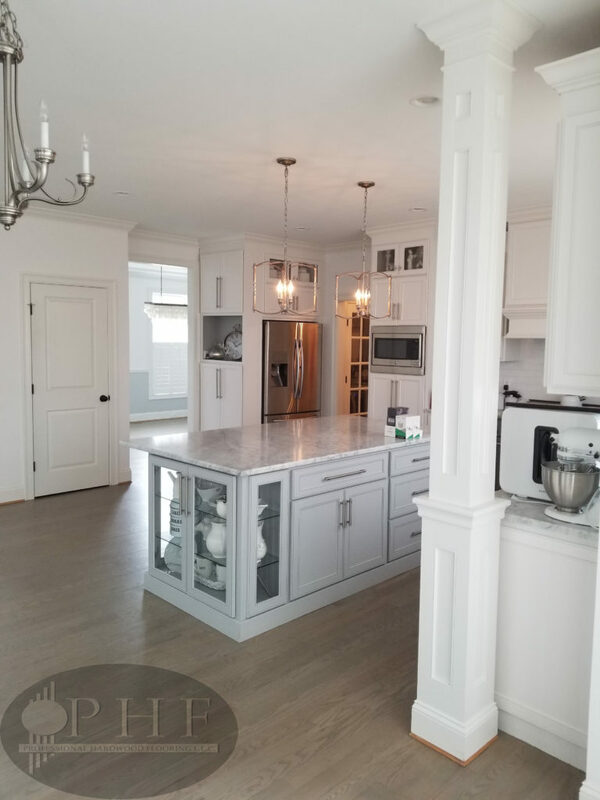 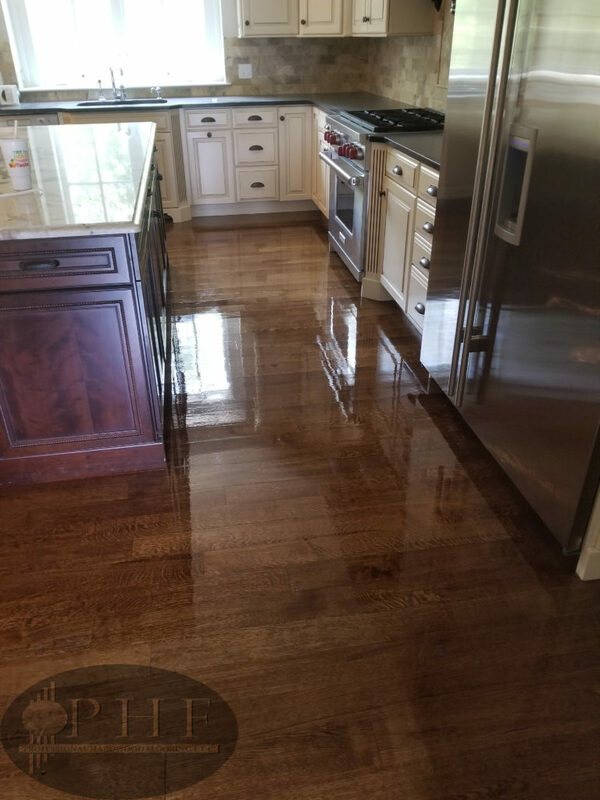 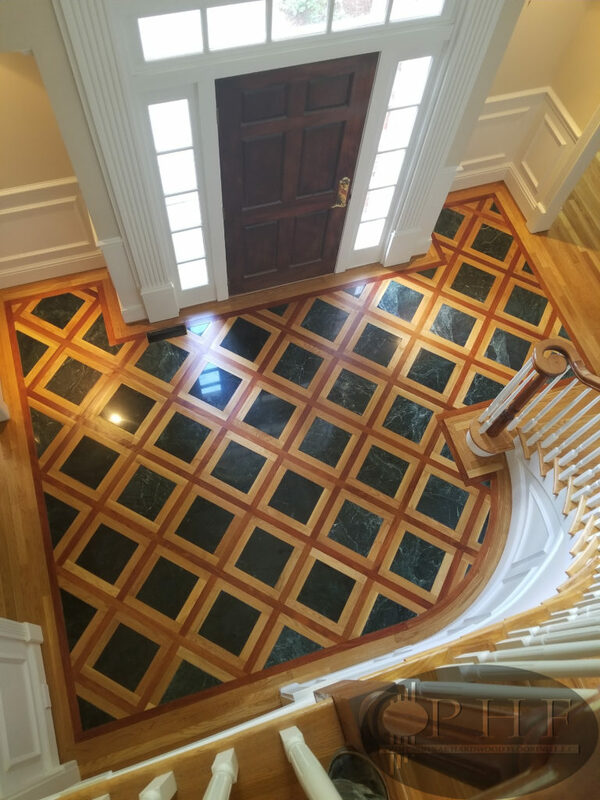 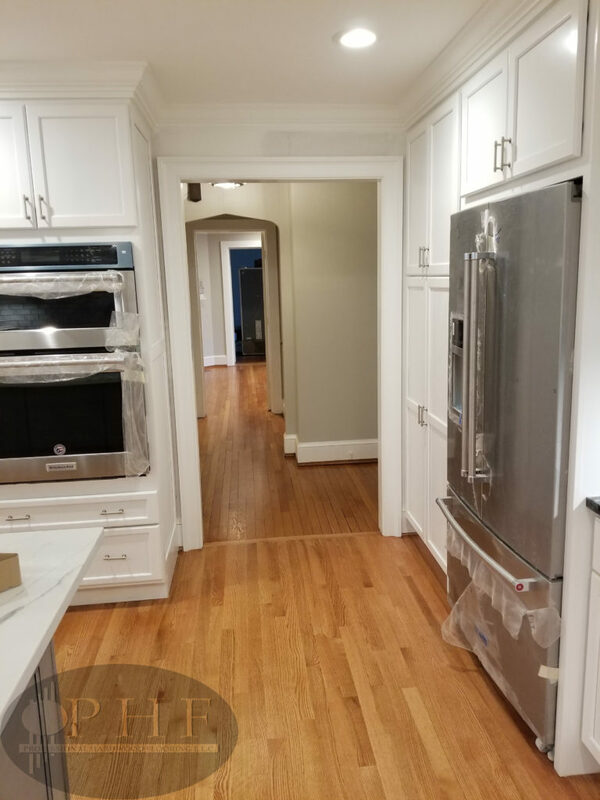 The floors look extremely shiny because the finish was wet when the photo was taken. 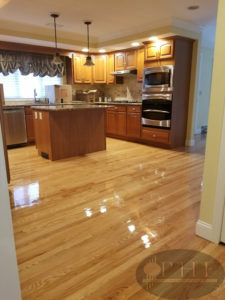 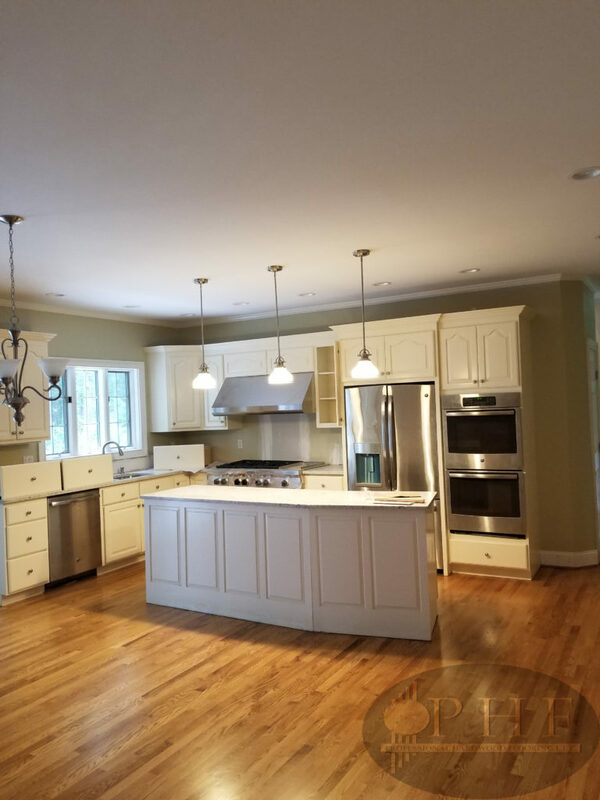 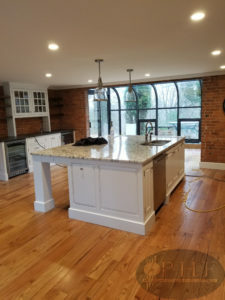 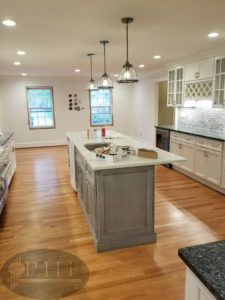 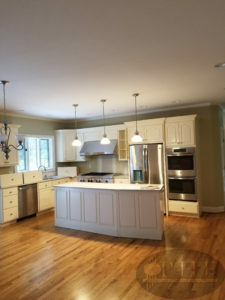 Red oak kitchen refinishing using three coats oil base finish. 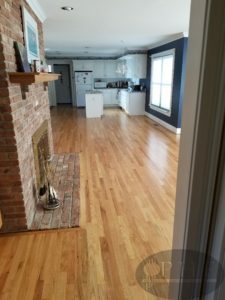 Red oak kitchen floors refinished with three coats oil base. 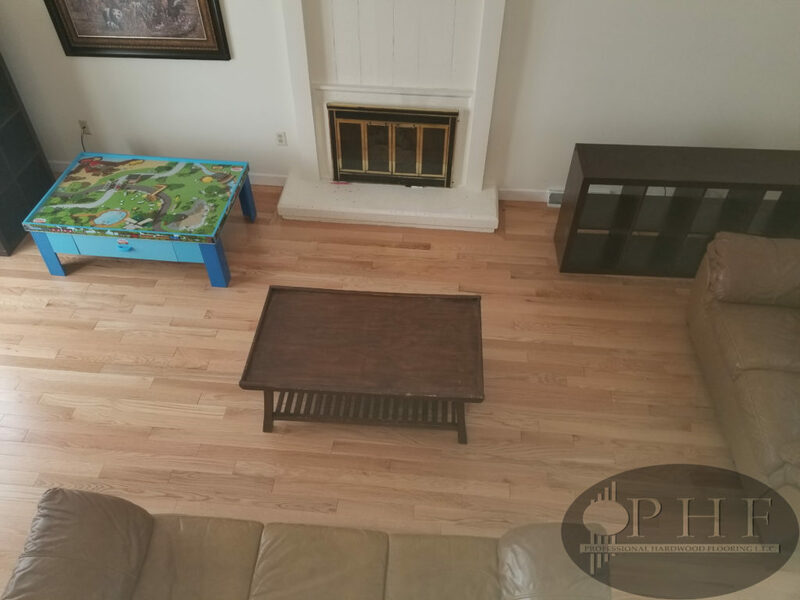 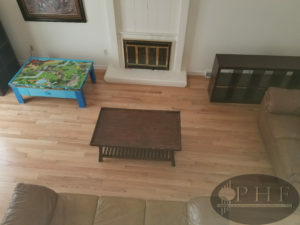 Refinished oak floors with one coat golden pecan stain and three coats oil base satin. 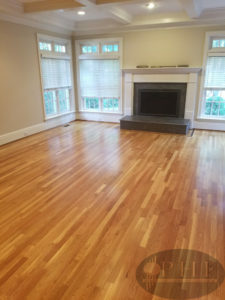 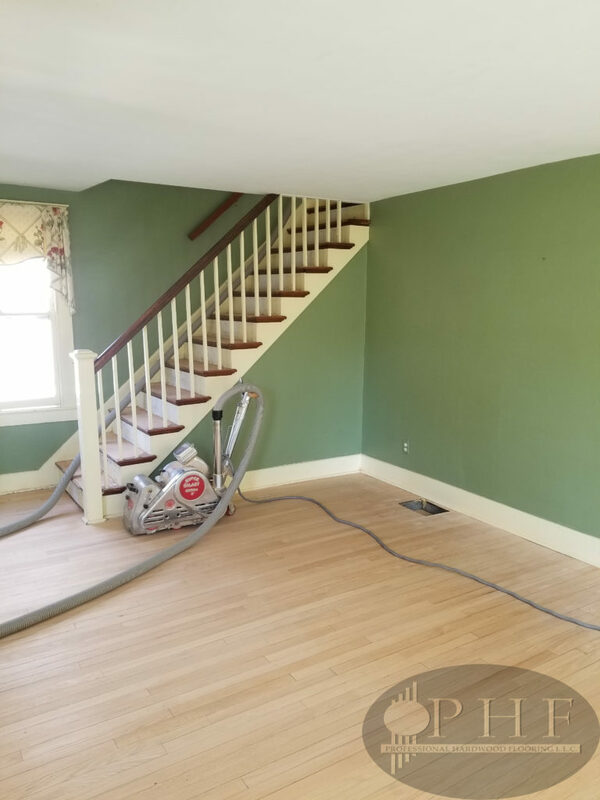 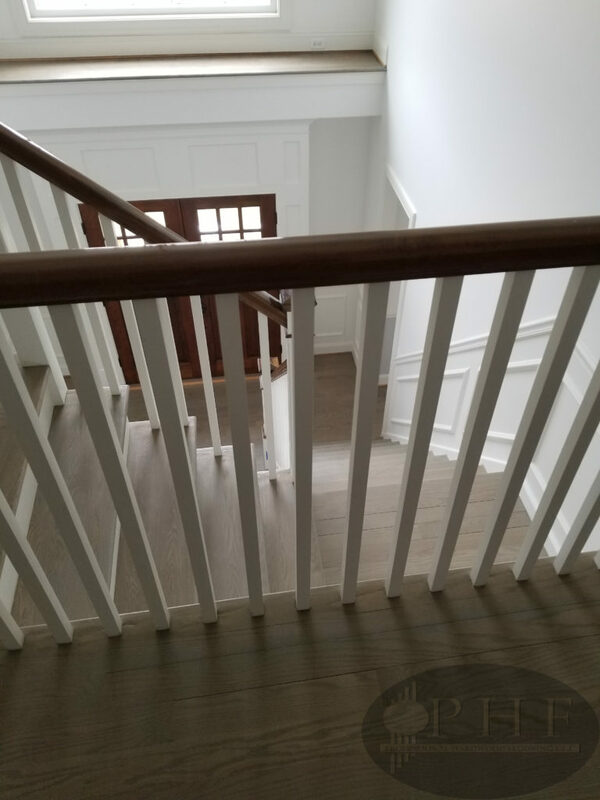 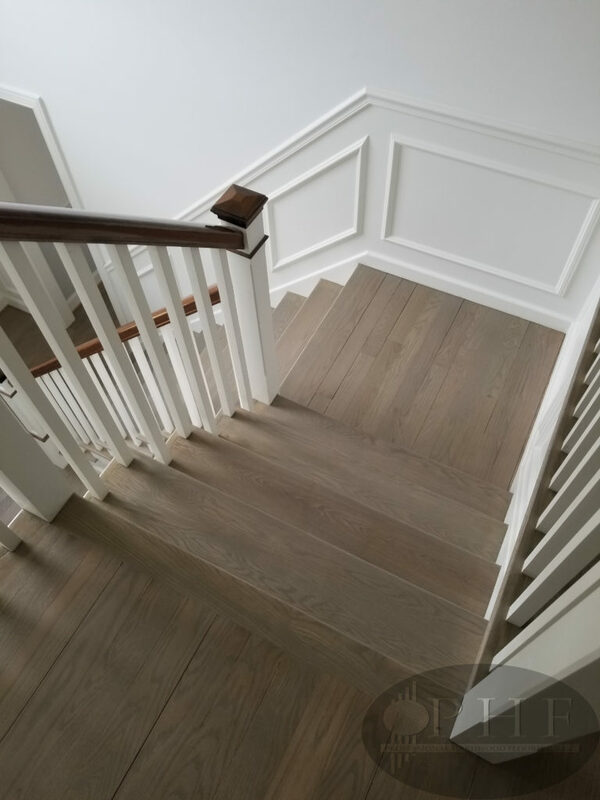 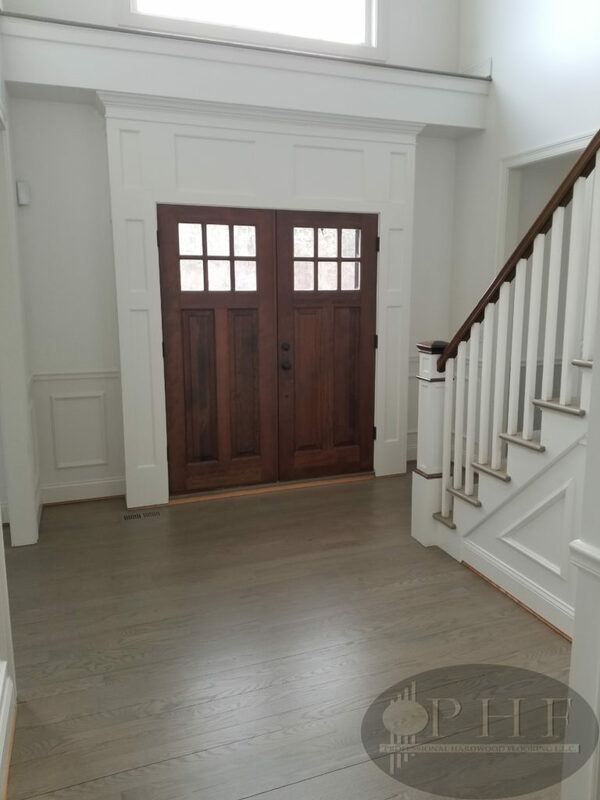 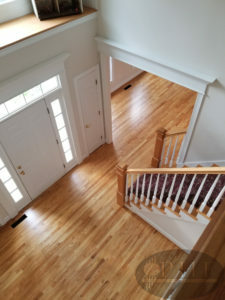 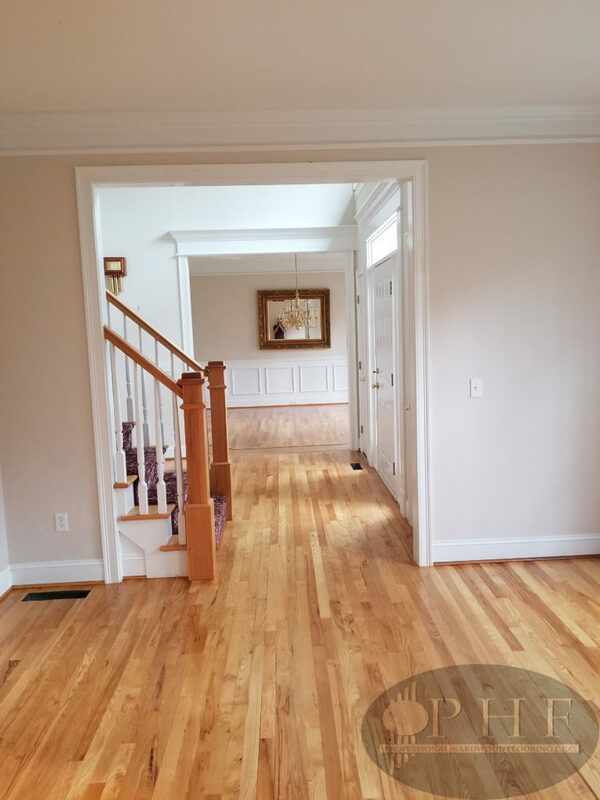 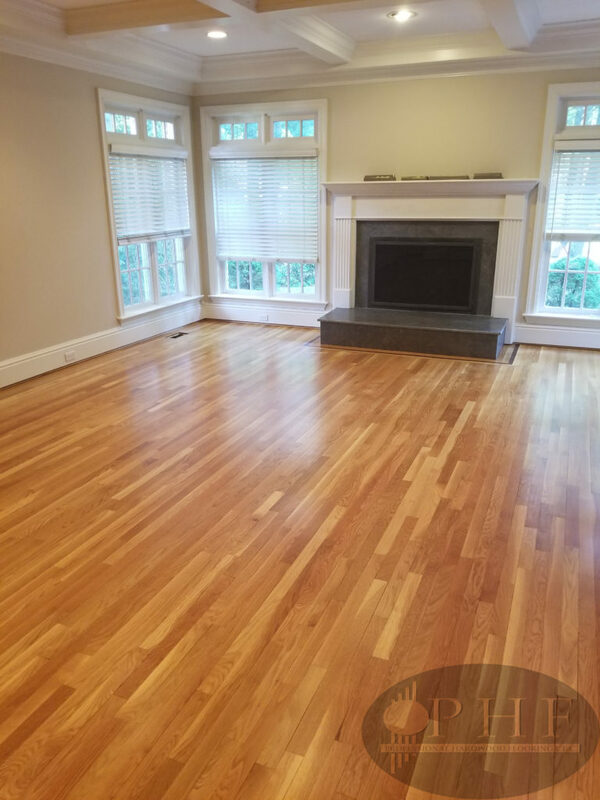 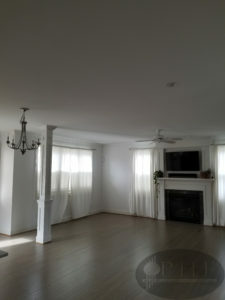 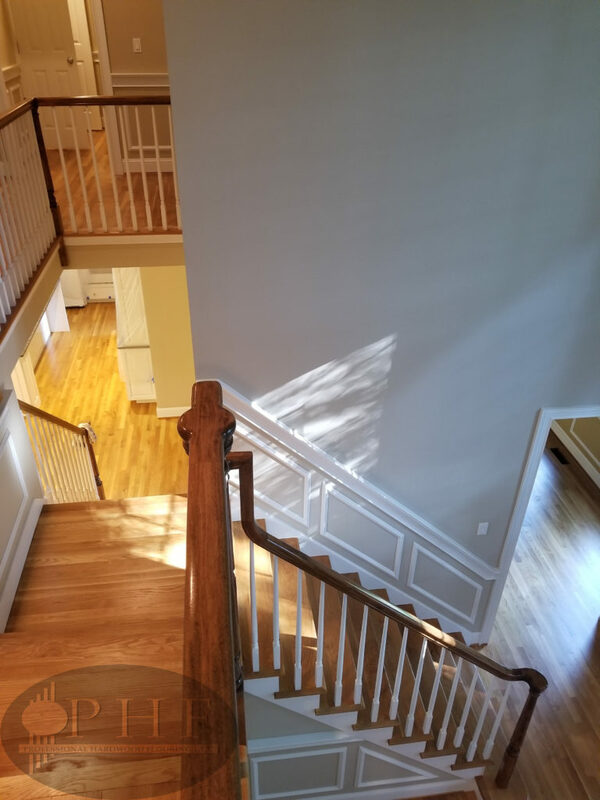 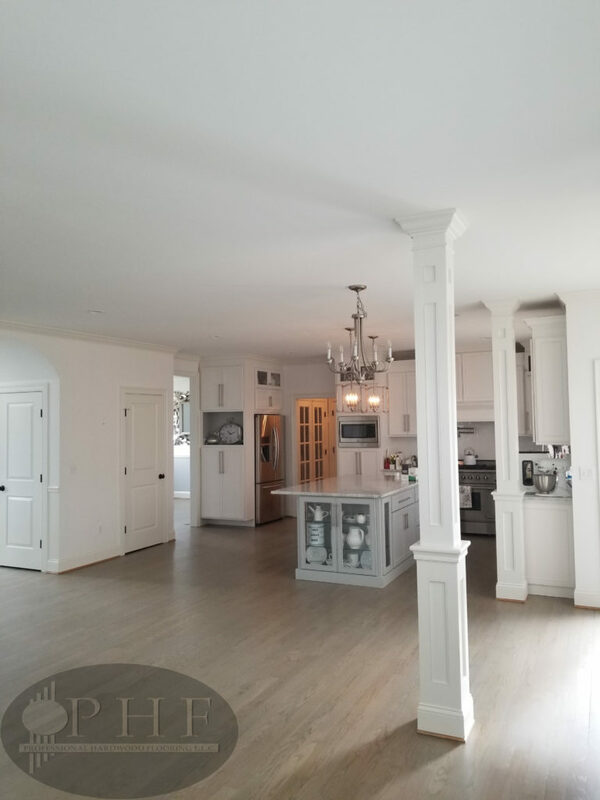 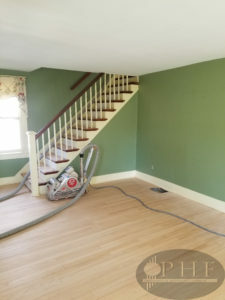 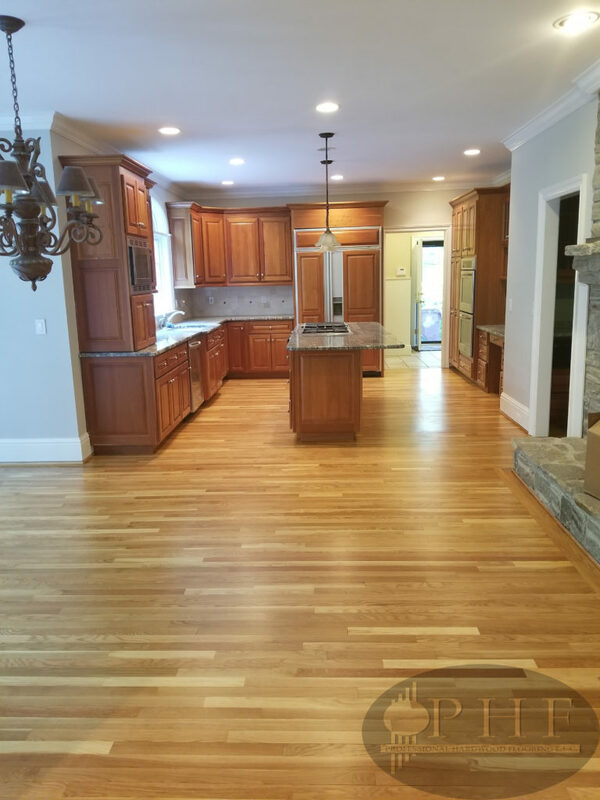 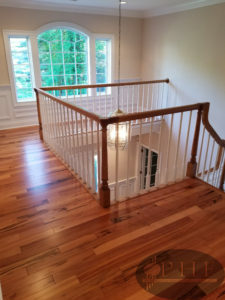 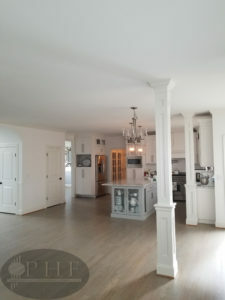 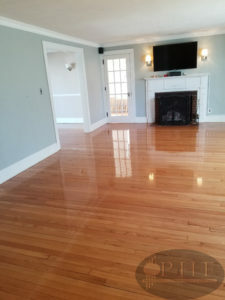 Dustless refinishing of white oak floors with three coats oil base finish satin.